Your knee is one of the most flexible joints in the body. It allows the leg to bend and flex through around 145 degrees in total. Because of this large amount of flexibility the knee is prone to injury. 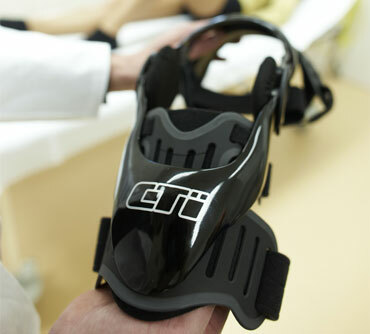 Orthoworx O&P is a Certified CTi Knee Brace Expertise Centre. The 3 parts of that body that make up the knee are the femur (thigh bone), tibia (calf bone) and patella (knee cap). The knee is joined together with muscles, ligaments and tendons and protected from friction by the meniscus. Damage to one or more of these structures can cause knee pain, which can stop you from doing the sport you love or carrying out the everyday activities you need to do. 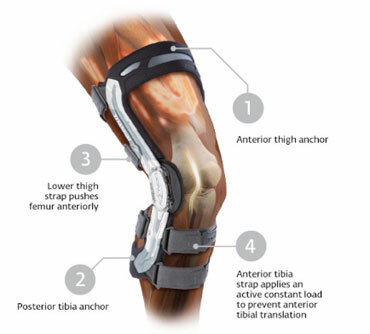 Most modern knee braces are off- the shelf braces that are available in a wide range of sizes to ensure optimal fit and function. In some cases the Orthotist will prescribe a custom made brace should the condition or anatomy requires it to ensure a successful outcome.